The Code does an excellent job keeping the foot compact while maintaining a flat profile. What does that mean. It means a solid performing all day shoe. 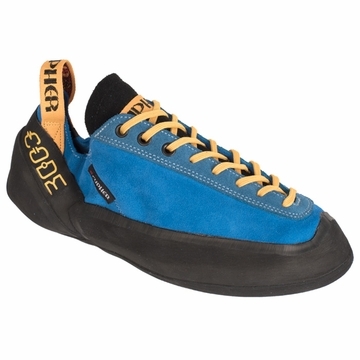 The leather upper is comfortable and breathable while a durable 5mm Enigma rubber keeps your feet where you put them. The high rand and deep heel-cup are great for progressing in sport or trad climbing and the lacing system helps you dial in the perfect fit.